I'm excited to share that my first full length book is now available through Amazon.com and other major booksellers. Mastering the Potter's Wheel begins with an introduction to wheel-throwing before progressing to more complex forms and techniques. This book offers a world of possibilities with skill building lessons, exercises to maintain healthy posture, and detailed instruction that will take your throwing to the next level. There are also loads of inspirational images featuring today's top working potters, including Julia Galloway, Kristen Kieffer, Matt Long, Lorna Meaden, Doug Peltzman, and many more. Click here to purchase a copy of Mastering the Potter's Wheel. I am thrilled to announce that I was chosen as the 2016 Ceramic Artist of the Year by Ceramics Monthly and Pottery Making Illustrated. It's a great honor to receive the award! 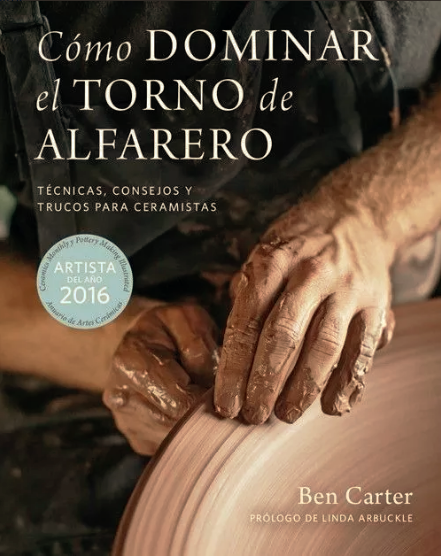 You can read a feature article on the award in the Ceramic Arts 2016 Yearbook.